Drug allergies can be defined as a group of symptoms caused by an allergic reaction to a drug. Adverse reactions to drugs are actually quite common. Just about every single drug can cause an adverse reaction. The person’s immune system’s response that causes an allergic reaction most closely resembles the response that causes hay fever. These reactions range from irritating or mild, such as nausea and vomiting to life-threatening anaphylaxis. 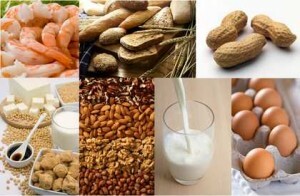 In most people, a severe allergic reaction will occur within only seconds or minutes after exposure to the allergen. However, there are a few reactions that can occur after several hours. This could happen if the allergen causes a reaction after it has been ingested. And in some extremely rare cases, reactions develop after 24 hours. Penicillin and related antibiotics the most common drug allergy causes. Some of the other allergy-causing drugs include, sulfa drugs, anticonvulsants, insulin preparations and iodinated (drugs containing iodine) X-ray contrast dyes, which can cause allergy-like anaphylactoid reactions. Most medicinal side effects are due to something other than an allergic reaction. For instance, aspirin can trigger asthma or cause non-allergic hives. 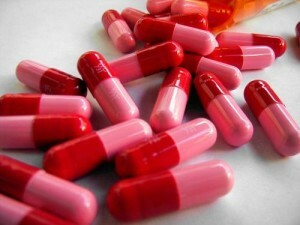 Some drug reactions are idiosyncratic, meaning that the reaction is an unusual and unpredictable effect of the medication. Often a person will mistake an uncomfortable, but not serious, side effect of a medicine with a true drug allergy, which can be life threatening. Symptoms of drug allergies include, anaphylaxis, or severe allergic reaction, hives (type of skin rash), itching of the skin or eyes, other types of skin rashes, swelling of the lips, tongue, or face and wheezing. Anaphylaxis is a severe allergic reaction that affects a person’s entire body. This is caused by the person’s immune system becoming sensitized to an allergen like bee sting venom to which he or she was previously exposed. When exposed to this substance again, he or she might experience an allergic reaction. This reaction is sudden, severe, and in many cases life-threatening. 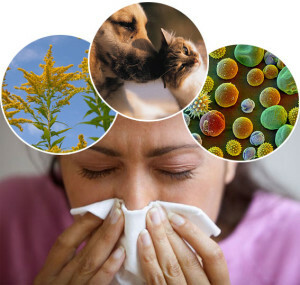 Treatments of drug allergies attempt to relieve symptoms and prevent a severe reaction. Common treatments include antihistamines for relief of mild symptoms like rash, hives, and itching; bronchodilators like albuterol to reduce moderate wheezing or cough, corticosteroids applied to the skin, given by mouth, or given intravenously and epinephrine. In order to make sure that the offending medication is avoided in the future, a person should alert all of their health care providers, including dentists and hospital personnel, about drug allergies. While most drug allergies will respond favorably to treatment, there are some cases that can cause life-threatening anaphylaxis, severe asthma or even death. There is no method of preventing the development of a drug allergy. A person with a known drug allergy should simply avoid the using the medication. Also, a person with a drug allergy might be told to avoid similar medicines. For example, it is recommended that a person who happens to be allergic to penicillin should also avoid amoxicillin or ampicillin. In some people’s case, his or her family doctor might approve the use of a drug that causes an allergy if he or she is pre-treated with corticosteroids, like prednisone, and antihistamines, like diphenhydramine. Under no circumstances should a person try this without a doctor’s supervision. While it’s important to know what to do if a person suffers a drug allergy, it’s just as important to know what not to do. Do not make the assumption that any allergy shots the person has been given will provide complete protection. If he or she is having trouble breathing, do not place a pillow under his or her head because this can lead to blockage of the airways. And, if the sufferer is having trouble breathing, do not give him or her anything by mouth.